Kelsey Grammer appeared on The Late Late Show and gave an update on the potential revival of his sitcom Frasier and how he would want it to differ from the original series. "The first like principle is that it is a different story basically. Same group of characters but in a different setting. Something has changed in their lives," Grammer told host James Corden on Monday after stating that he is considering a revival and has met with writers. Dr. Crane as a superhero? Never say never. Grammer also said that a new Frasier would deal with the death of actor John Mahoney who portrayed his character Dr. Frasier Crane's dad Martin Crane on the series. "We would probably deal with that a little bit, dad being gone. But the third act of Frasier rather than trying to pick up like Will & Grace did, right where they were." Grammer suggested that the revival could take place in Chicago, the city that the title character left for in the final episode of Frasier. Breaking down American sitcoms with the highest episode counts, including 'Married… With Children,' 'Cheers,' and more. Grammer first portrayed Dr. Frasier Crane on Cheers, which took place in Boston. The character then moved to Seattle in Frasier, a spinoff of Cheers that ran for 11 seasons from 1993 to 2004. 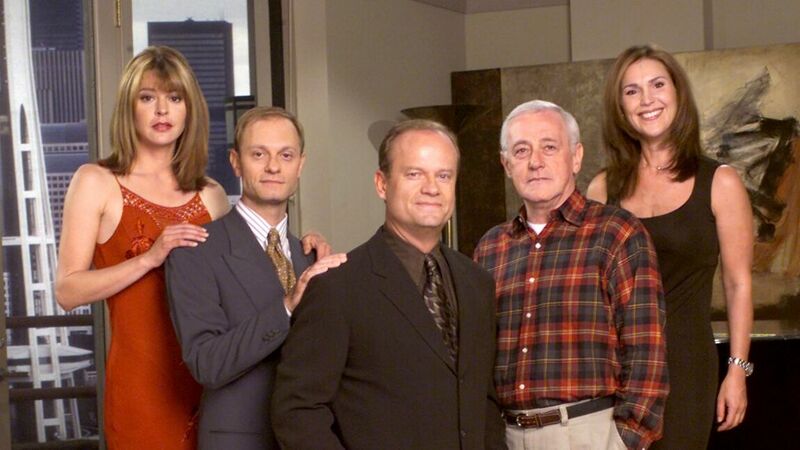 David Hyde Pierce starred as Frasier's brother Niles Crane, Jane Leeves as caretaker Daphne Moon and Peri Gilpin as Roz Doyle, Frasier's radio show producer. Grammer first discussed the possibility of a Frasier revival in July.